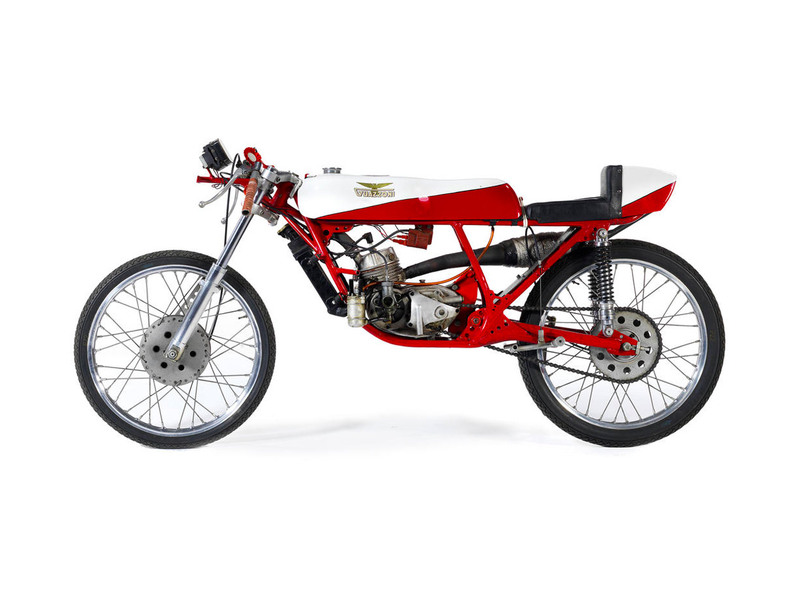 Located this Italian racing beauty from Guazzoni on Bonhams. It has a nice “rode hard” patina about it. 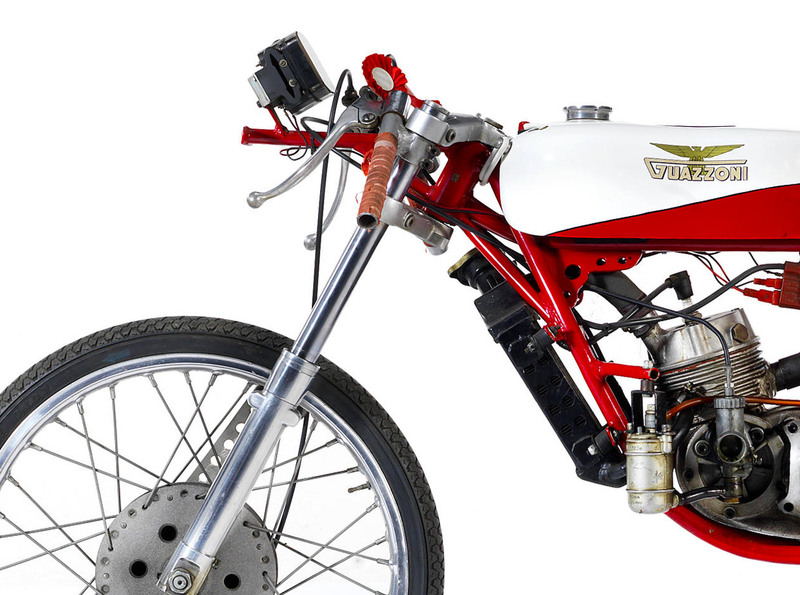 About this motorcycle: The Guazzoni factory was founded in Milan, Italy in 1935 by Aldo Guazzoni (1908-1978). 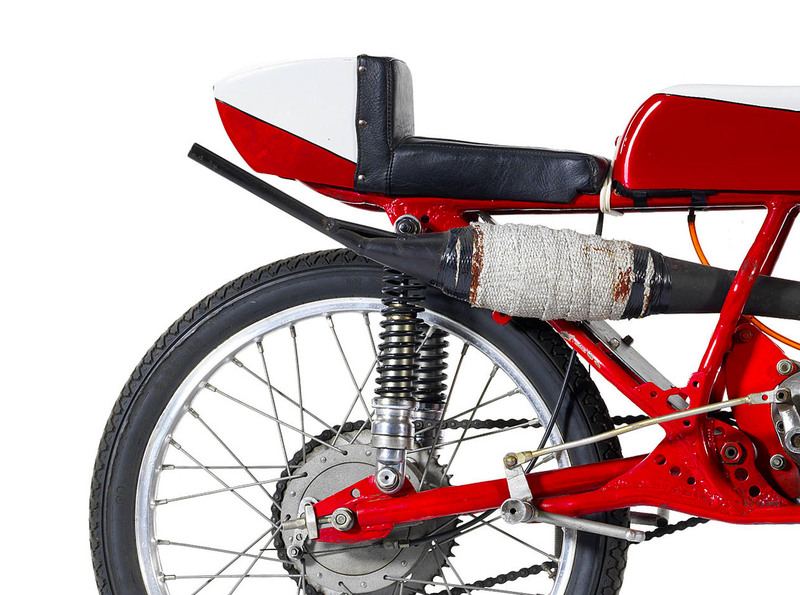 At first the company built models fitted with proprietary engines before turning to the manufacture of three-wheelers. 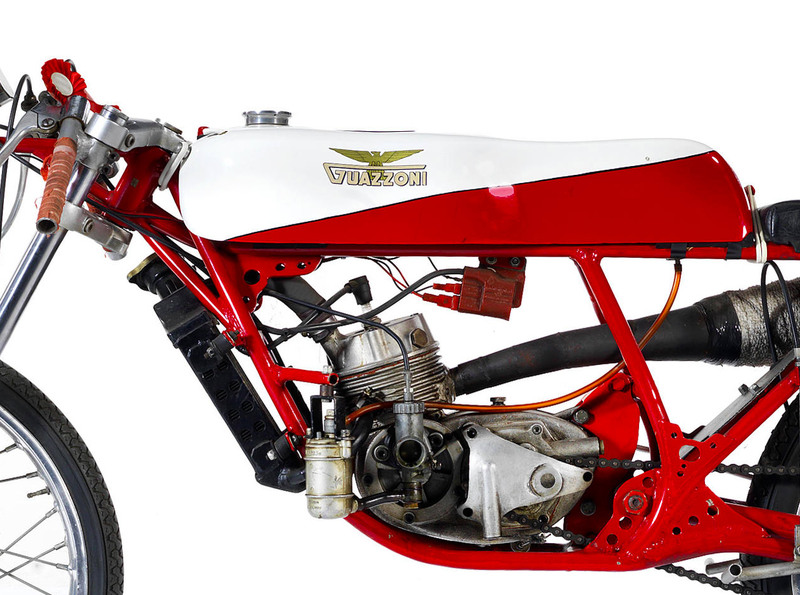 After the war Guazzoni became the Milan concessionaire for Motori Morini and in 1950 returned to the manufacture of motorcycles, making a 150cc two-stroke model for FBM of Bologna. Like many other small Italian concerns, Guazzoni would concentrate its efforts of the ultra-lightweight market, and throughout the 1960s and into the 1970s produced a succession of stylish sports roadsters such as the Cadetti and Matta. 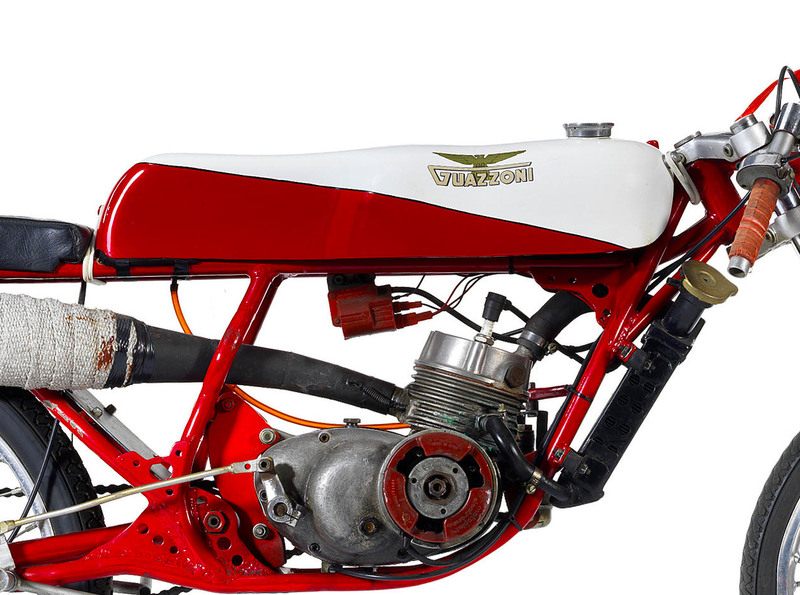 Many of them used rotary-valve two-stroke engines with reversed cylinders (exhaust at the rear), a feature that became something of a company hallmark. Guazzoni closed in 1976. 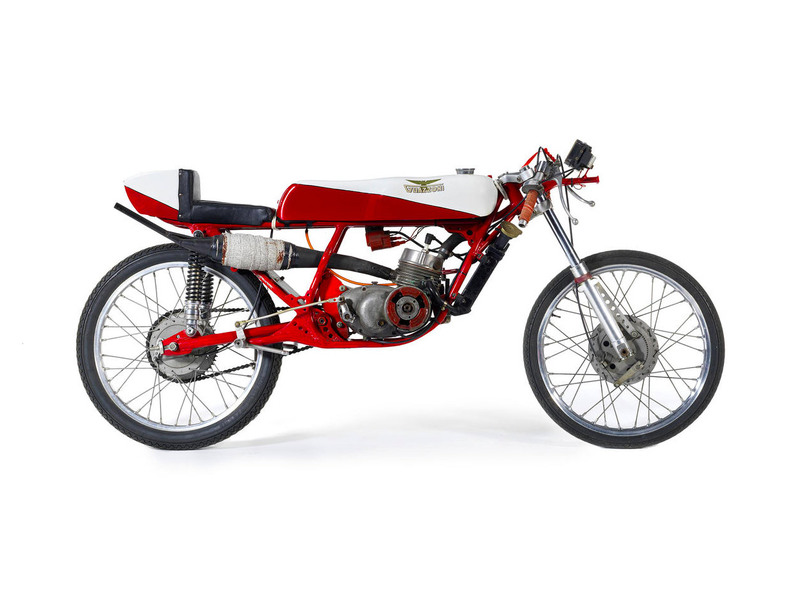 The un-restored Guazzoni six-speed production racer offered here has just such an engine, which is said to be capable of 15,000 revs.